Salesforce.com is looking for the best startup in Europe that uses its platform. On Thursday, the enterprise cloud computing company announced the creation of a $6.6 million (€$5 million) Innovation Challenge to do just that. The winning companies will have a chance to be funded by Salesforce and at least one of the participating venture capital firms including Notion Capital, Octopus Investments, MMC Ventures, Charlotte Street Capital, and Point Nine. In Europe, Salesforce says that demand for enterprise cloud apps in the industry are expected to help attract 159 percent more developers in the next five years, potentially generating $4.2 million in revenue. The company says that the Innovation Challenge is aimed to help spur new startups to create new tools and apps leveraging Salesforce’s platform. The explosion of growth in Europe’s enterprise app market is fueling innovation across the region. Salesforce.com is excited to join forces with leading European venture capital firms to launch the Innovation Challenge and reward Europe’s top entrepreneurs and enable them to accelerate their innovation and time to market. Interested startups can register online for a chance to present their product or hack in one of several European pitch events that will be taking place between September through November 2013. In the end, those chosen as finalists will be able to negotiate with the VC firms for seed funding or even Series A investment. The winning Salesforce-powered apps will also be distributed on Salesforce’s AppExchange, the business app marketplace. 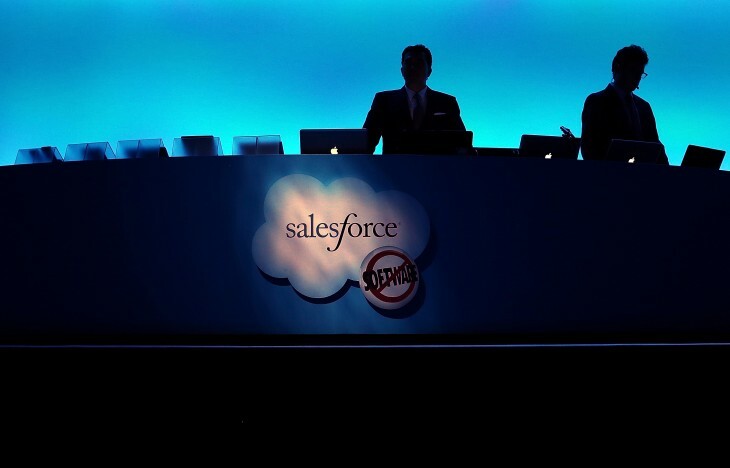 The launch of this challenge certainly will benefit Salesforce. Its AppExchange has more than 1,700 Salesforce partner-built apps and 3 million customer-built apps on it, with 1.7 million installs. As social tools continue to proliferate and emerge on the market, businesses will take notice and their employees will use them more and more.